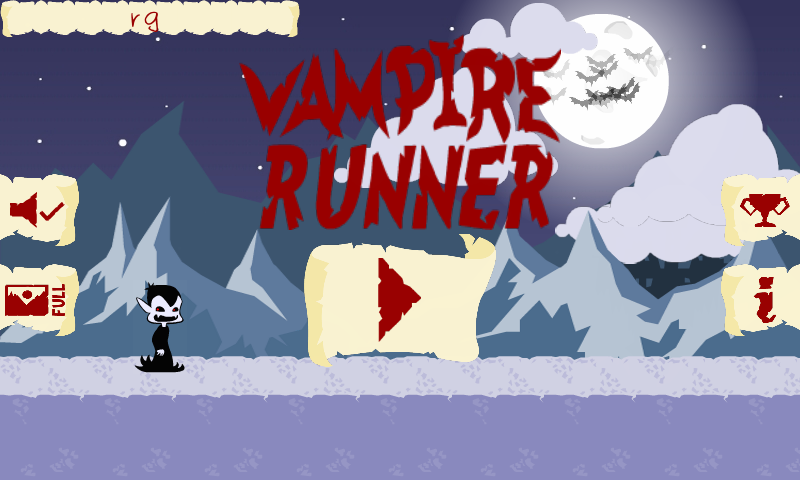 Hi guys, during the last Ludum Dare 21 arielsan made the game Vampire Runner as shown here we made some minor improvements to the game and at some point some people we know that are artists wanted to see how would one of our games work with their art on the android market. We focused a lot on adding nice artwork and polish to the game, but we are having some trouble finding a fun and engaging gameplay. The basic idea of the game, is that you are a vampire running for your life and there are some obstacles in your way, that you have to pass by transforming into a bat like mist. You transform by touching the screen or clicking with your mouse, and there is an energy bar that is spent while you are transformed into mist, once it is empty you don't go through stuff anymore and the energy bar recharges while on normal vampire mode. The latest iteration of our game before this remake is available on the android market here, in that version the game didn't have a max speed and the level generation was mostly a periodic generation of a wall with a random wall width. Some people liked the game and still play it but it failed to keep a big number of people playing. The biggest issue we see with our game right now is one of mechanics and level generation, right now the game is really simple to play, and the mechanics are not copied from other similar games but the issue is that the gameplay is repetitive and either too easy, or it gets impossible at some point. We are really open to any idea about the level generation, changing the mechanic, etc if you think it would make the game more fun. We would love any feedback about the graphics, style, gameplay, or anything else you want to comment. Worked great on my MacBook. One area of improvement is that the game seems too one-dimensional. Perhaps keep your vampire in humanoid form and left-click turns it into a ghost, right-click turns it into a bat. Then you need to dodge both solid walls and fly over water traps. Well done, and nice job! I could not run it. I see the Java 6... loading screen and then nothing happens. I use Windows 7 Enterprise. For example to bite a pesants or avoid other ghosts. When the OFF Task (beeing the vampire) is too long (like a second), the vampire is just walking normally. I'd like to add that I was playing using my galaxy tab 10.1, for your records. It seems like you're having stuff on the menu button in android, even though nothing happens when you click it. On honeycomb, I get the extra-options button showing itself in the game, even though nothing happens when I tap it. It may be a libgdx thing though, just thought I would let you know. Thanks all of you for the feedback, we are really glad that you liked the game. At this moment we are really happy with the aesthetic of the game, but are really having some trouble with the gameplay. First off, I've got to say that the overall presentation is fantastic (although it did seem to fade-to-black rather often when transitioning between menus). As you say though, the gameplay becomes very dull very quickly. The way I see it, the game boils down to the simple challenge of timing the mouse click to be as late as you dare before hitting the wall, but the game undermines that challenge because it never really rewards you for a well-timed click. Click the mouse too early and your energy goes down by more than you'd like (which may eventually lead to your demise, but otherwise isn't really a problem). Click the mouse too late and you're instantly dead (well, undead, whatever). I think the challenge would be more satisfying if the game explicitly rewarded you for the accuracy of your timing, maybe by giving you bonus points (with visual feedback: "+10", "+100 Excellent! 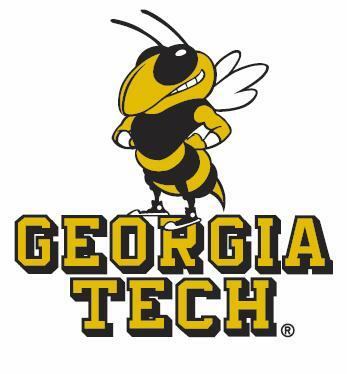 ", etc.) if you time your click really close to the wall. It's also a bit repetitive that the same game mechanic applies when 'entering' a wall as when 'leaving' it. Maybe you could change the gameplay while you're inside the wall. For instance, maybe the "mist" could change back to "vampire" automatically when you leave the wall, in which case you'd be free to use the button to control something else. 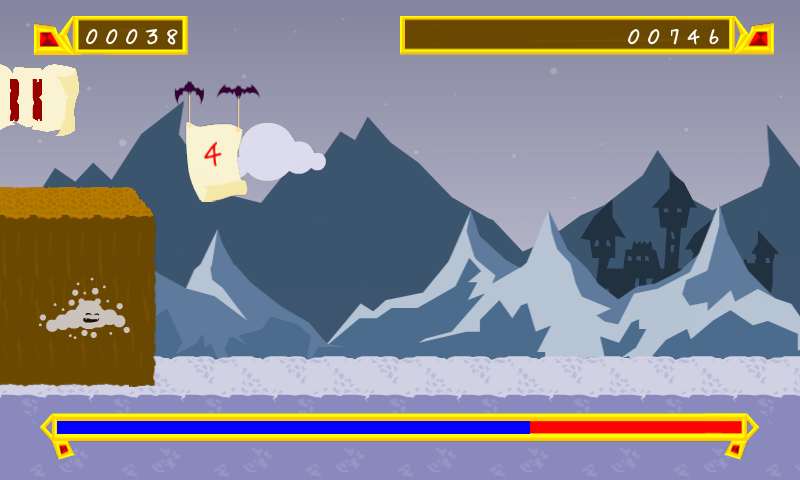 For example, while the button is held down, the mist bat rises, and falls when it is released, and so the player can move up and down to collect the coins/birds/maidens/whatever that float past at different heights. Just throwing out suggestions. I like that the game is controlled by a single button, but obviously you'd have more options with more buttons. 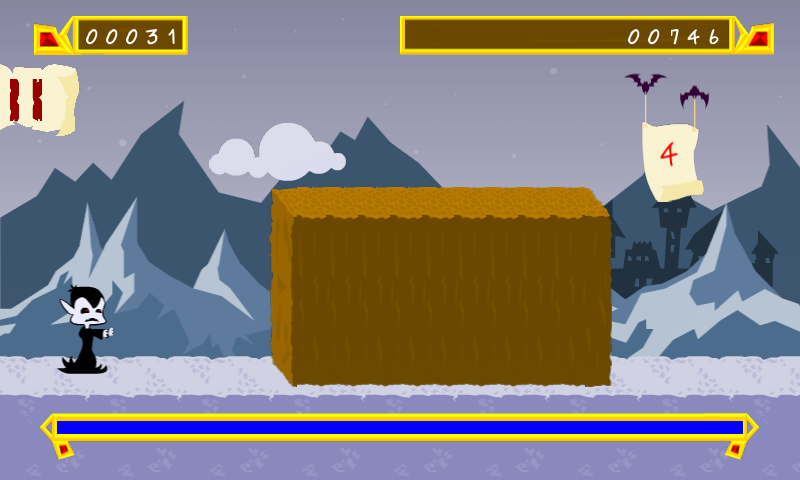 There is a new version of the game, we added a new type of obstacle, the fire obstacle. So now you will have to transform in the correct mode to avoid each type of obstacle. The new mode is the bat form, it is used to avoid the fire obstacle while the mist mode cant go through, and vice versa with the normal obstacle. Another change is you make more points when you are in normal form, that is not explained in the game, we should give some feedback for that I believe. We changed a bit the instructions, dunno if they communicate everything that needs to be said, but they look nicer than before. @dishmoth We like the ideas, we were testing some of them but by enabling multipliers (used to multiply the score when you are no normal form the next time) instead increasing only a fixed amount of points but that way could work too, both options need visual feedback as you said. We like the second idea too but it is a bit more complicated because it implies another decisions like, what happens if I transform to mist mode and there is no obstacle? it is not clear what to do to maintain coherence and it is harder to explain that to the player. Thanks again everyone for playing. This is just a random brainstorm, but what popped to mind is adding good old jumping and rolling (a crouch to get under obstacles), so what you have is the standard obstacle course plus the wrinkle of transforming. If the transform were somehow to affect your abilities to jump and crouch, either while in the new form or immediately after the change, then it would add some puzzle-like depth to a complex course, requiring well-timed combinations of jumps and transforms. Great style indeed, I liked playing it. And indeed, the gameplay still needs a bit of work. @dishmoth has some great ideas. do'nt end the game immediately at the first error -> I got frustrated a bit quick because I was thrown back to the main menu after my first mistake. Perhaps a couple of lives? And ways in which to get extra lives? The new Openfeint scores allow you to compete globally as well as with your friends. Very nice, fun, complete and polished. I finally got around to giving the Android version a try. It crashed first time I ran it, probably because I declined to use the Openfeint stuff, but it ran fine after that. Funny thing is, I know it's exactly the same game as I've played on the browser, but it's genuinely a lot more fun playing it on a phone. I tried android version on Samsung I5500 Galaxy 5. It's fun and graphics is nice, but the speed increases too fast in so short time.